For more than 24 years, Golden Carlin has been dedicated to providing skilled, professional, and ethical legal representation. We are focused on meeting your goals in the most cost-efficient, effective manner. Since 1988, Golden Carlin has provided legal services to the South Florida community in all aspects of business law, real estate, construction law, estate planning, probate, and civil litigation. The Firm combines E. Scott Golden's experience in business law, real estate, construction law, probate and estate administration, as well as his experience in commercial litigation. Justin C. Carlin, a state and federal trial lawyer with the Firm, represents clients in commercial and real estate disputes and in family law proceedings. Public & Privately-Held Companies: Our clients have included public companies, major privately-held companies, international businesses with U.S. or Florida affiliates or subsidiaries, and, of course, local businesses and individuals. Broward County business lawyer E. Scott Golden was for many years the general counsel for a publicly-held, multi-state transportation and fuel company, and he was the principal counsel in the creation of a publicly-held bank holding company in conjunction with the SEC, the FDIC, the Office of the Comptroller of the Currency, and The Florida Division of Banking and Finance. The Firm maintains contacts at numerous financial institutions in order to work with our clients to meet their financial needs. Startups : Although we are always pleased to assist established businesses to meet their corporate and business needs, we also enjoy incorporating, organizing, or establishing new corporations, limited liability companies, joint venture arrangements, and other business entities. Small business success is the engine that builds our economy, and we are always pleased to work with new businesses to assist them as they begin their journey. Small Businesses & Entrepreneurs: In the legal community, the term "small business" is used to describe any business enterprise that has stock or other ownership interests that are not publicly traded. Small businesses today face a litany of challenges as they seek not only to survive, but thrive, in the marketplace. These challenges are compounded by a host of legal obligations imposed on business entities (both large and small) by regulatory bodies, including the obligation to pay taxes to various state and federal governmental agencies, to register annually with the Secretary of State in all the states in which the business is conducted, to attain and maintain proper licensing, and to comply with federal and state employment laws. The Firm takes tremendous pride in assisting entrepreneurs and small businesses as they begin to meet these challenges, as well as assisting established business to maintain compliance. Whether you are seeking to launch a new business venture or are seeking to modify or enhance an existing one, the Firm works diligently to help its clients achieve their business goals and navigate a changing business environment. We handle many aspects of business, including: -SELECTION OF BUSINESS ENTITY -BUSINESS INCORPORATION & ORGANIZATION -COMPENSATION & BENEFITS -REGULATORY COMPLIANCE -STRATEGIC ALLIANCES -CONTRACT DRAFTING, REVIEW, & NEGOTIATION -PURCHASE & SALE AGREEMENTS -TRADEMARK, TRADENAME, AND COPYRIGHT FILINGS Regulatory Compliance: In order to insure that our clients meet corporate and state requirements regarding annual meetings of shareholders and directors (for corporations) and members and managers (for limited liability companies), the Firm pioneered many years ago an annual review service for our clients. As part of this service, the Firm annually files, or confirms the annual filing of, the report required with the Secretary of State; prepares the required minutes for the companies' annual meetings; and assists its clients with preparing and passing any resolutions required to continue their businesses legally and properly. General Counsel: A good business law firm should, if possible, help clients avoid litigation. Because of our Fort Lauderdale state and federal trial practice, we are keenly aware of the types of contractual provisions and aspects of business transactions that most frequently result in legal disputes. We use this knowledge to provide our clients with sound legal counsel and carefully drafted legal documents. 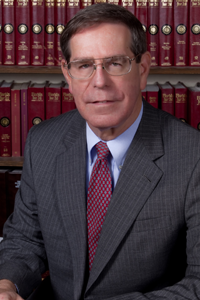 E. Scott Golden is founder and managing partner of Golden Carlin and has over 30 years of experience as a lawyer. He practices a unique blend of interdisciplinary law that allows him to wed his tax, corporate, and real estate background with commercial litigation experience in state and federal courts in order to design effective solutions for his clients' corporate, commercial, construction, and real estate development issues. After practicing at the largest tax law firm in the country; one of the largest commercial firms in Miami; and a boutique firm focusing on corporate, real estate, and banking in Broward County, Mr. Golden founded his own firm in 1988. He then added to the firm the component of commercial litigation, resulting in a broad-based commercial practice with a focus on property interests and property rights. As an adjunct to his tax background, Mr. Golden has always maintained a significant practice in estate planning, probate and estate administration, and church and charitable law. Mr. Golden has prosecuted and defended jury and non-jury trials in state and federal courts throughout the State of Florida; he has briefed and argued appeals to Florida's appellate courts, the Florida Supreme Court, and the U.S. Court of Appeals for the Eleventh Circuit; and he has briefed writs of certiorari to the U.S. Supreme Court. He has received an "AV Preeminent Rating" by Martindale Hubbell, the highest rating provided by Martindale-Hubbell-a testament to the fact that his peers rank him at the highest level of ethical standards and legal ability. A graduate of Harvard Law School and the Massachusetts Institute of Technology, Mr. Golden has served as a contributing author to several professional journals and is a speaker on commercial real estate matters. Represented a subcontractor in state court on a 30-story project in which the general contractor waited until the subcontractor had completed work on the first 20 stories to claim that all the work was defective and the client would not be paid the remainder owed on the project. We successfully showed that the general contractor was at fault, and, further, had intentionally hidden the evidence, resulting in a settlement payment to the client. Represented an electronics and security contractor in a federal court case involving the construction of a federal building in which, despite the failure of our client to be paid and confusion on the job due to the government contractor's poor oversight of the project, the government architect claimed that our client's work was not performed timely and properly. Negotiated a corporate solution between rival ownership factions of a privately-held U.S. construction company conducting business throughout the Western Hemisphere. The dispute stemmed from the parties' different views of their rights under poorly-drafted agreements initially prepared by a new investor. Represented an only (adult) child by prevailing in a four-day trial in which the court invalidated (on grounds of mental incapacity) her father's trust amendment that essentially disinherited the child in favor of a former sister-in-law of the father. Represented numerous businesses, churches, and individuals before municipal and county planning committees, zoning boards, and city and county commissions in order to obtain plat approvals, site plan approvals, special exceptions, and variances. 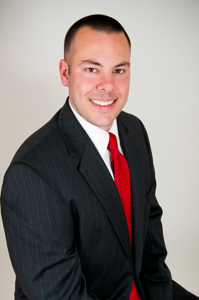 Justin C. Carlin is a state and federal trial lawyer who represents clients in commercial and real estate disputes and in family law proceedings. He has a broad range of litigation experience, including cases involving breach of contract, unjust enrichment, fraud, negligence, commercial eviction, business torts, and commercial and residential mortgage foreclosure, among other types of cases. In addition, a portion of his practice is devoted to litigating family law matters, such as contested petitions for dissolution of marriage. Prior to joining the Firm, Mr. Carlin maintained his own firm in Fort Lauderdale, and he previously served as a Judicial Intern to the Honorable Juan Ramirez, Jr. (Ret.) at the Florida Third District Court of Appeal. Representation of former director of foreign corporation in defense of fraud and civil conspiracy claims stemming from failed international real estate project. Representation of several investors in disputes with precious metals firms over commission fees and interest charged on allegedly fictitious commodities transactions in violation of Commodities Exchange Act and Florida Deceptive and Unfair Trade Practices Act. Co-counsel and principal personal counsel in defense of wrongful death action brought against property owners who allegedly allowed invitees to shoot firearms and drink alcohol on their property, resulting in one invitee accidentally shooting and killing another invitee. Representation of spouses and parents of minor children in several bench trials involving the equitable division of marital property, including retirement accounts, personal property, and real estate (foreign and domestic). -Author: "State Sovereign Immunity and Privatization: Can Eleventh Amendment Immunity Extend to Private Entities?" 5 F.I.U. L. Rev. 209 (2009). -Author: "What Every Florida Business Owner Should Know About Collections," Broward County Bar Association People's Law Guide (2011). -Research and Writing Assistant: Jerry W. Markham, Glass Steagall vs. Gramm-Leach-Bliley-A Test Match for the Bankers, 12 U. Pa. J. Bus. L. 1081 (2010).